While it’s always a smart choice to invest in high-quality HVAC systems, they will not perform well with a poor air conditioning installation. This is why it’s vital to work with reputable professionals who can do the job right the first time. 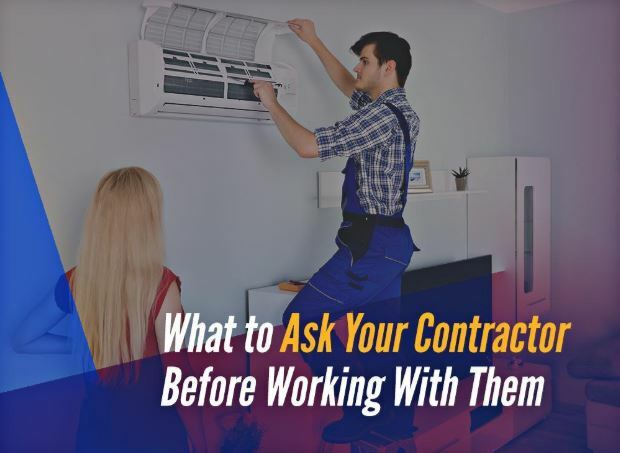 Superior Air, your trusted HVAC company, shares some of the questions you need to ask before signing a contract. How Will You Handle Site Supervision? You should find out how your contractor will handle site supervision. Ask them how often they will be at your home and how much noise you should expect. This way, you can inform your family members the possible inconveniences they may experience, so they can make the necessary adjustments. We’ll be glad to address these concerns and put your mind at ease. Whether it’s as simple as air conditioning repair or as complex as furnace replacement, you want to make sure that you are dealing with a reliable company. You need to dig deep into their background to see if they can deliver a smooth and hassle-free process. Check whether they have the proper licensing, insurance and certifications. This will give you a clear picture of their expertise in the field, as well as the products they offer. At Superior Air, we’re always ready to show you our credentials. Our crew is NATE-certified, which means you can count on them to meet all your HVAC needs. We also offer top-of-the-line Carrier® products to boost your home’s comfort levels and energy efficiency. You need a clear timeline before you start your project. It needs more than a start and end date. It should outline the meetings and tasks, providing you with an overall view of the project’s progress. Apart from this, it’s also important for you to meet with the person who will oversee the job site once work begins. Maintain a clear line of communication with them so you can keep track of every detail. When it comes to air conditioning maintenance and other services, Superior Air is the contractor you can depend on. We’re confident to answer all of your questions for your peace of mind. Call us now at (559) 734-2002 to learn more about our products and services. We serve Hanford and surrounding areas in CA.